Are we done with changes? Releasing a single-step evaluation should allow us to focus attention on other topics and needs. EPD have been available to the U.S. beef industry for over 40 years. Survey results suggest that 30% of beef producers use EPDs or indexes as their primary selection criteria. Part of the lack of technology adoption is likely due to the confusion surrounding how best to use them. Also, some breed associations publish in excess of 20 EPD per animal. 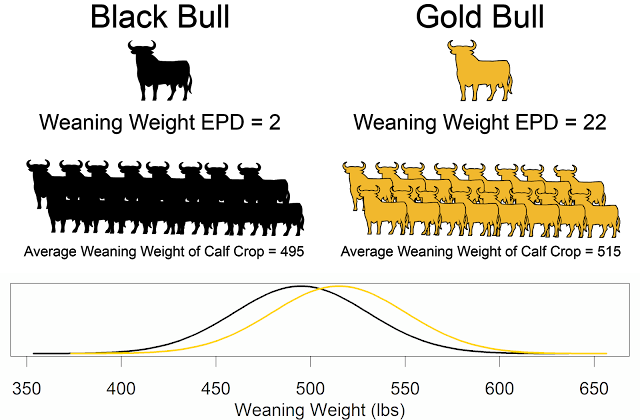 There are increasing number of EPDs, but we continue to publish indicator traits such as Birth Weight, when we have the economically relevant trait published, Calving Ease in this case. 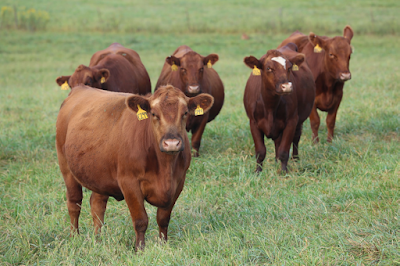 Selection indexes were first published in 1942, but the first breed-wide selection index for beef cattle was published in 2004. We have terminal and general purpose indexes in the beef industry. "We don't have any truely maternal indexes in the beef industry," Spangler said. We don't have selection for terminal lines and maternal lines in the beef industry. Many economically relevant traits are not currently collected in the seedstock sector. We need better data collection for reproduction traits (longevity), disease, routine carcass traits, and packing plant value (dark cutters, etc.). Right now we use a lot of indicator traits in economic indexes. The index works much better if we directly measure the economically relevant trait. Having more accurate EPDs in the index improves the accuracy of the EPD. But, more importantly, having the right traits in the index improves the accuracy much more than improving EPD accuracy. There have been previous attempts to create customizable indexes. However, these required a lot of information input. This likely limited uptake of these approaches. Spangler's approach will be to create tiers of information requirements. Different producers can input different amounts of data. Spangler and colleagues received a USDA Critical Agriculture Research and Extension grant to create online decision support tools. They are currently looking as 3 use cases. Commercial buyers looking at genetic purchasing decisions based on firm-specific breeding objective. Seedstock buyers customizing indexes for their bull customers. Seedstock buyers looking for customized indexes for their purchasing decisions. Part of the motivation for the work is to increase engagement from cattle breeders. It is hoped that this engagement will increase uptake and use of selection indexes. As part of the project they are conducting a survey to look at attitudes toward technology adoption, EPD use, and index use.